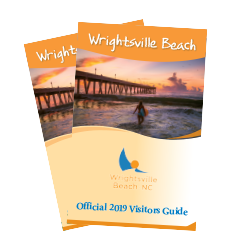 Before driving over the US 74-76 drawbridge across the Atlantic Intracoastal Waterway to Wrightsville Beach, visitors who want to learn about the beach&apos;s fishing should stop by Tex&apos;s Tackle or Intracoastal Angler. The staff of these tackle shops will help anyone catch fish, no matter their skill level. After crossing the drawbridge, anglers will find the NC Wildlife Resources Commission Wrightsville Beach Boating Access Area on the left, or north side of the bridge. It has no public fishing area but is the only place to launch a powerboat on the island. Continuing a short distance and taking a left turn onto Salisbury Street takes visitors to Johnnie Mercer&apos;s Pier, which is a great destination for catching many species of fish. The concrete pier and pier house are family-friendly. The pier sells fishing tackle and the counter staff will gladly share their tips on tackle and techniques. All along the east side of Lumina Drive are public access areas where anglers can walk to the oceanfront to do some surf fishing. One of the best places to fish is at the southern end of Wrightsville Beach, where anglers can park at the Jack Parker Beach Access and walk to the oceanfront or Masonboro Inlet. A good place to surf fish is beside the northern rock jetty. Crystal Pier is another great place to fish near the south end of the island. While it does not have public restrooms or a pier house, anglers who want to cast their lines into the Atlantic Ocean for a few hours will find plenty of action. For an inspirational boost, visitors can watch offshore charter boats offload their catches twice each day. Half-day charters return around 1:00 pm and all-day charters around 4:00 pm Some great places to see what the boats are catching or to speak with charter captains about booking fishing trips are Bridge Tender Marina, Banks Channel Marina, Dockside Marina, Seapath Marina, and Motts Channel Seafood. Motts also sells bait and basic tackle for surf, pier, and inshore fishing. It is also a wonderful place for anglers who have not had any luck to buy fresh, local seafood along with all of the sauces and spices necessary for cooking it for dinner. Some charter boats are listed online. Mike Marsh, longtime outdoors columnist for the Wilmington Star News, has written thousands of columns and articles for many newspapers and magazines. He is also the author of four books about local fishing and hunting. To contact Mike or order his books, visit mikemarshoutdoors.com.